It’s All Right! is an album by jazz pianist Wynton Kelly released on the Verve label featuring performances by Kelly with Paul Chambers and Jimmy Cobb with Kenny Burrell and Candido Camero recorded in 1964. 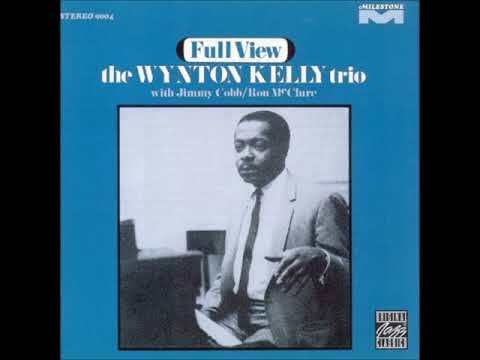 “The Wynton Kelly Trio (consisting of the pianist, bassist Paul Chambers, and drummer Jimmy Cobb) are augmented by guitarist Kenny Burrell and percussionist Candido on this 1997 CD reissue. The music is essentially easy listening jazz with concise versions of ten numbers, including a rendition of Charles Lloyd’s “One for Joan” that was only previously out in Europe. In addition to the one “new” selection, a few unnecessary false starts for “Kelly Roll” have been included. A brief “The Fall of Love” finds the group joined by a steel drum band, although it makes little impression. The best are “Portrait of Jeannie” and “On the Trail,” but overall, this effort is not too essential.” – Scott Yanow, AllMusic.